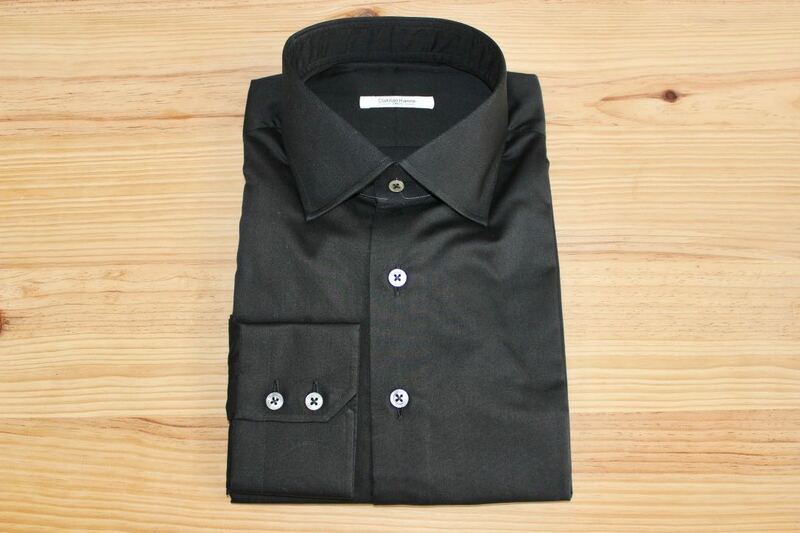 Buttoned down black shirt for men, 100% cotton, simple yarn, buttoned down collar, rounded wrists. 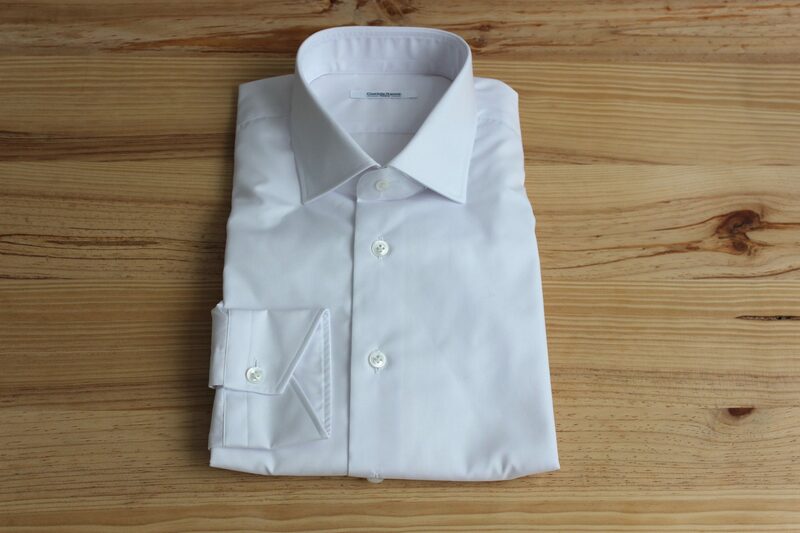 Traditional artisanal methods (handmade pattern and cut). 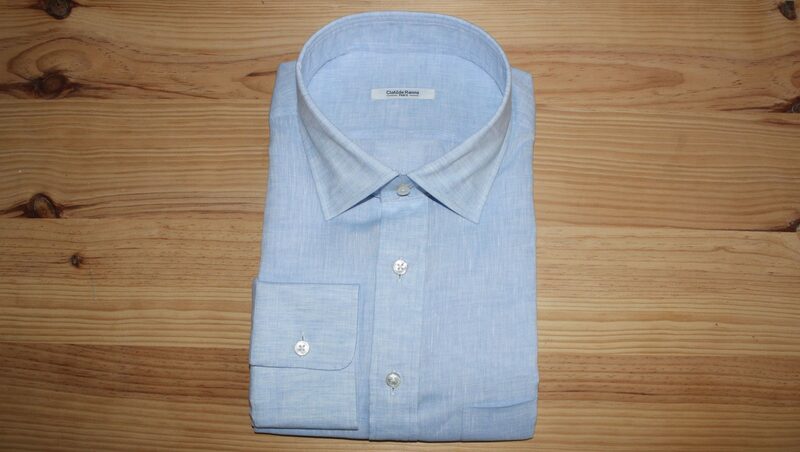 From 199 euros VAT included. 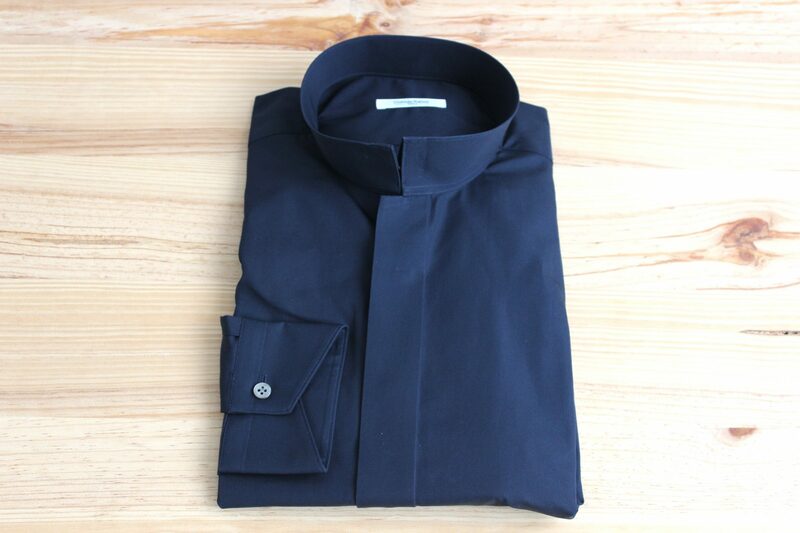 Bespoke black men shirt in Egyptian cotton, straight cut, Italian collar, rounded wrists. 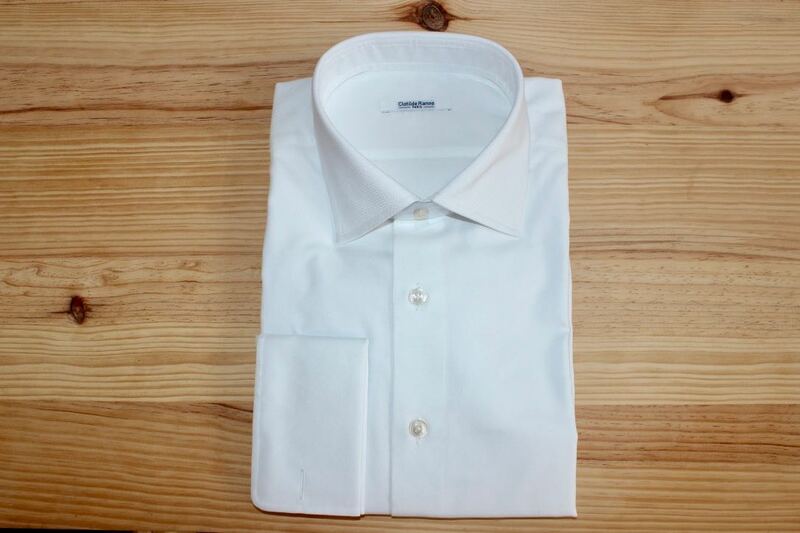 Traditionally made. 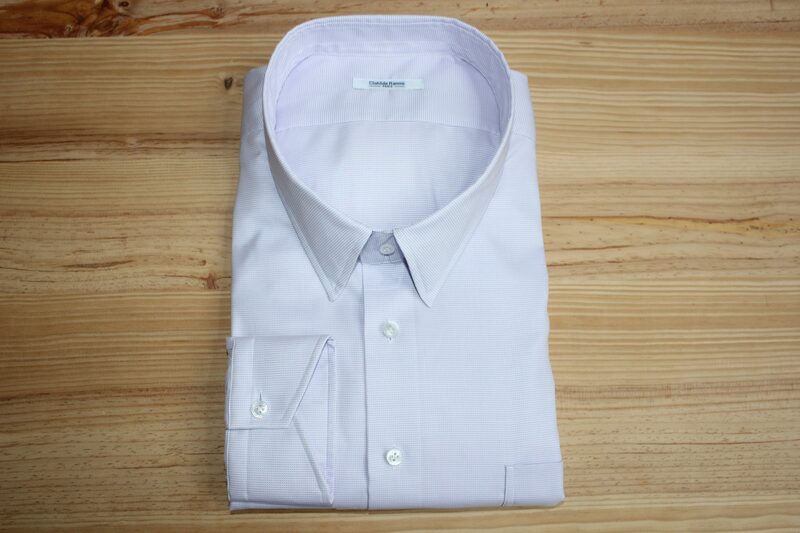 From 199 euros VAT included. 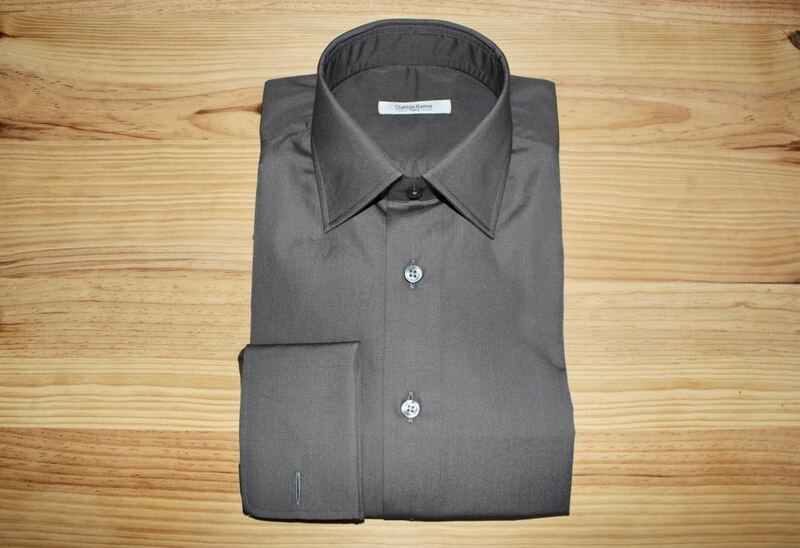 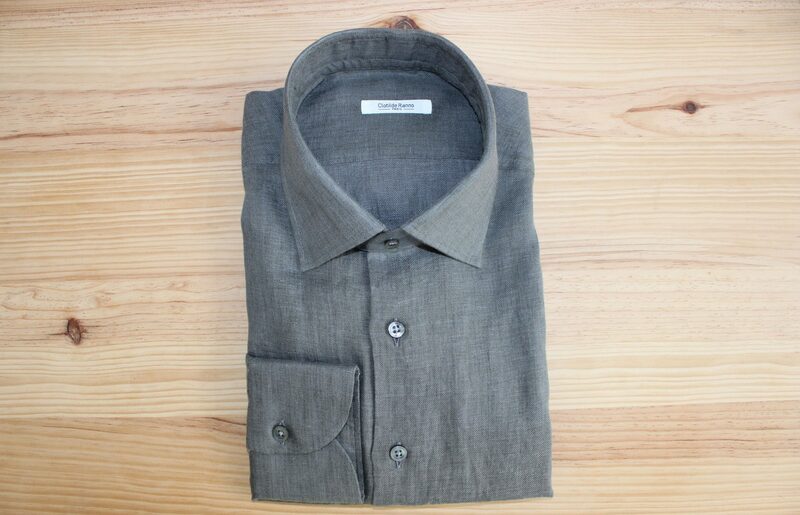 Grey shirt for men, 100% Egyptian cotton, non iron, Italian collar, boat wrists. 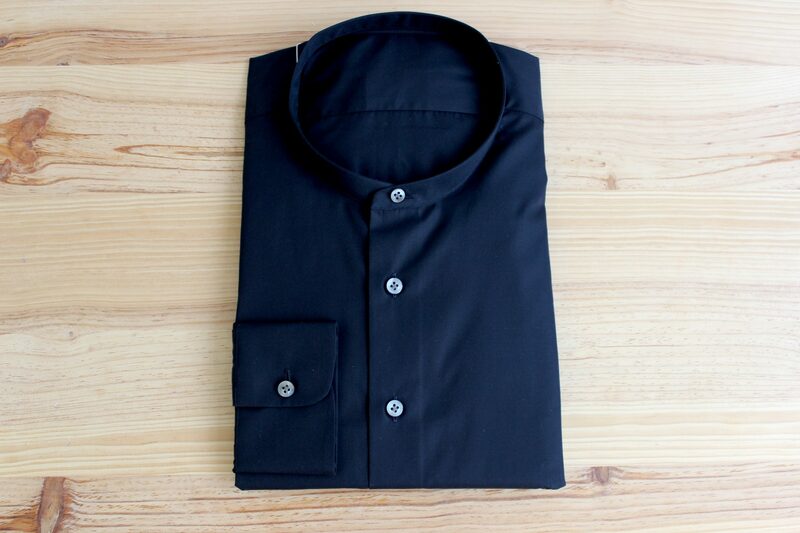 Traditionally made. 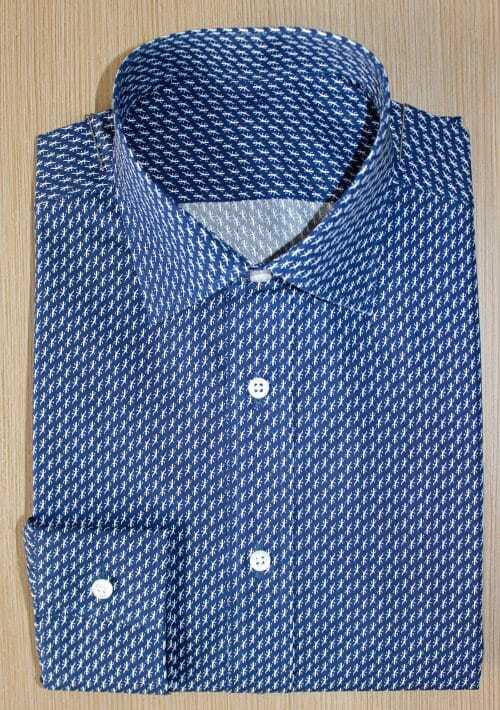 From 199 euros VAT included. 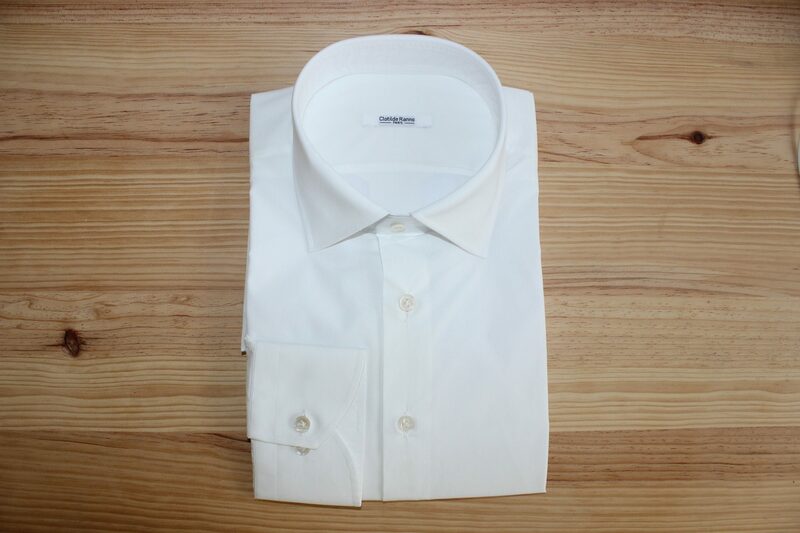 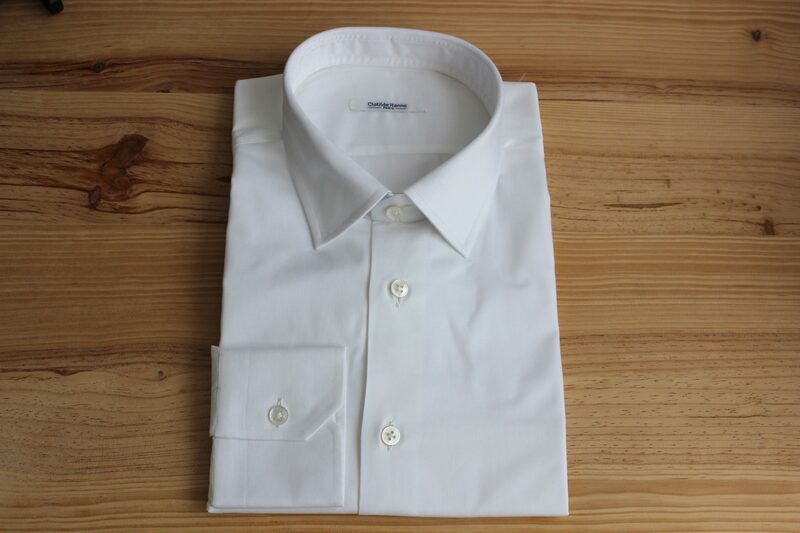 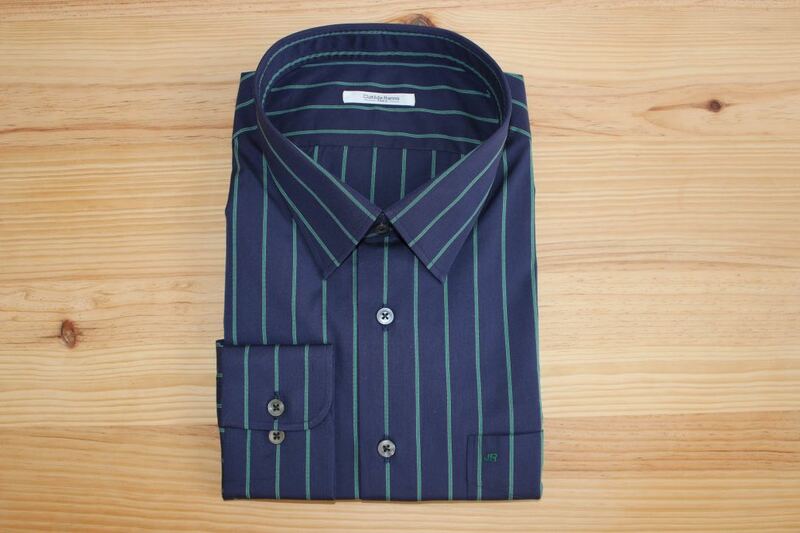 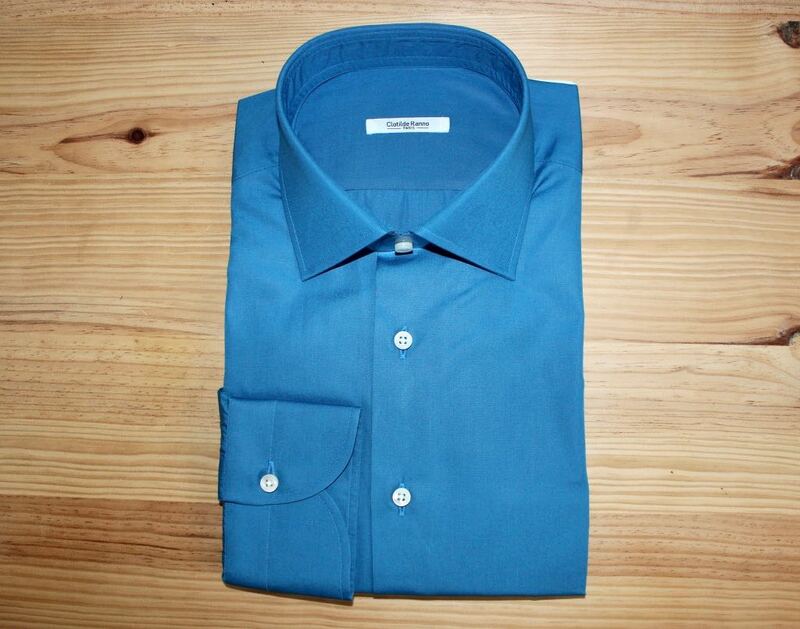 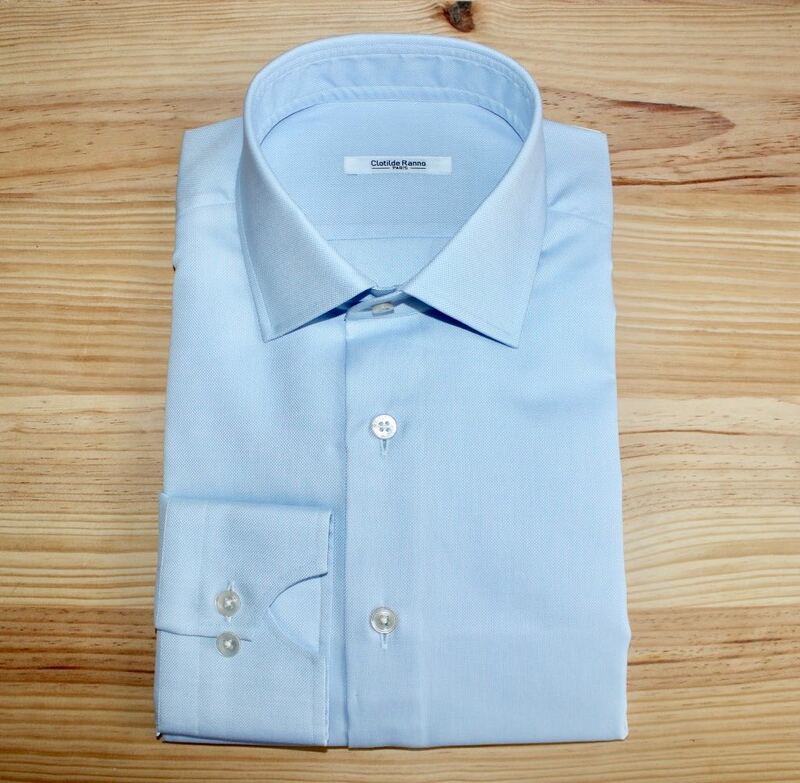 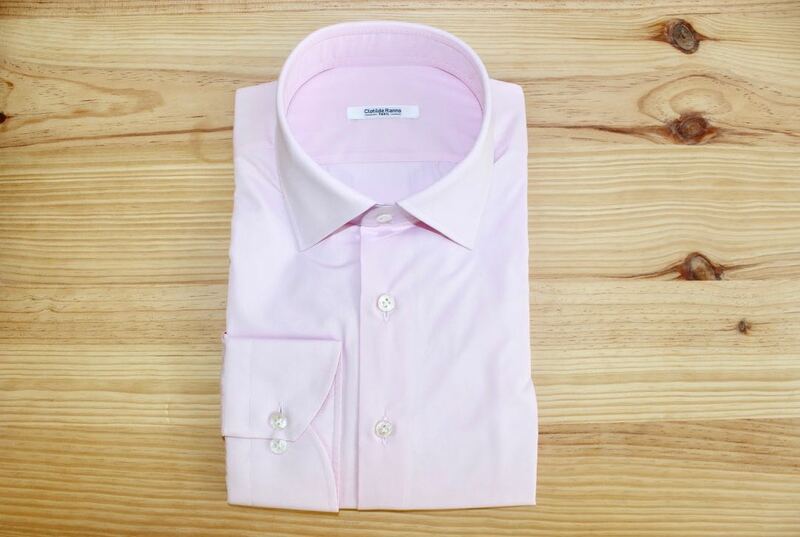 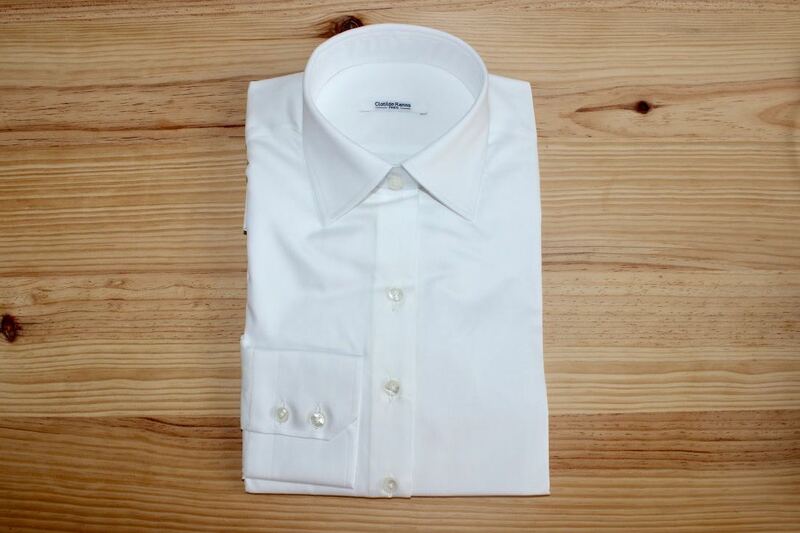 Luxury shirt, 100% Egyptian cotton, double twisted yarns, rounded wrists with two buttons. 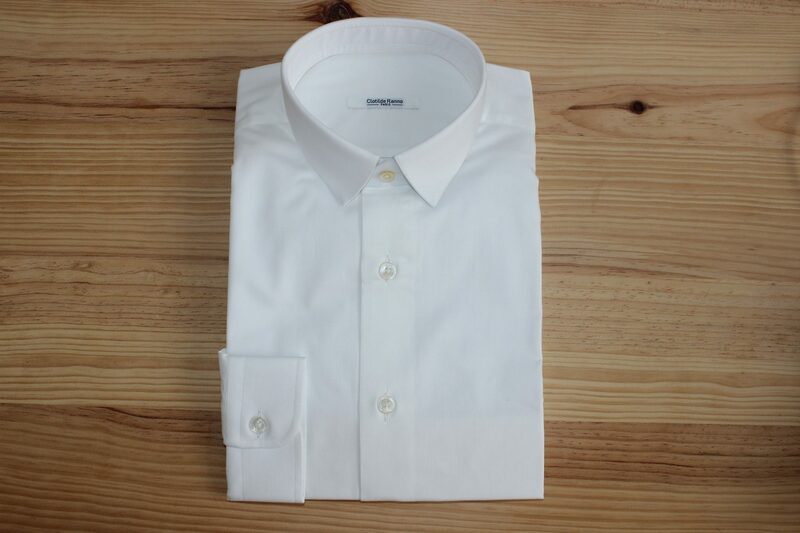 Traditionally made. 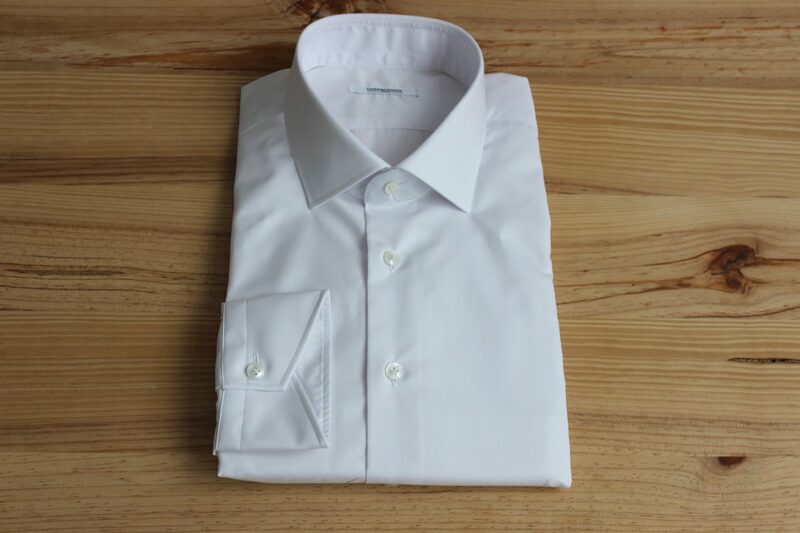 From 199 euros. 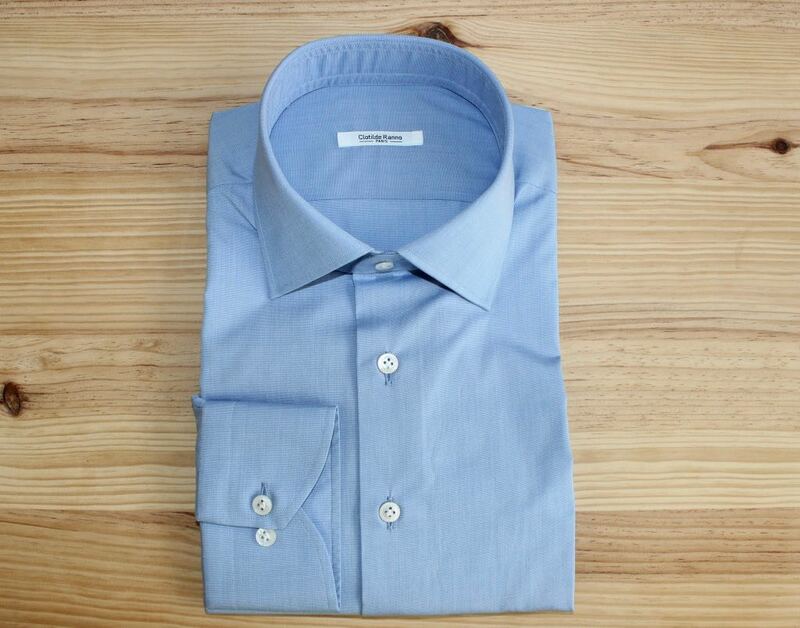 Adjusted navy blue shirt, 100% Egyptian cotton, simple twisted yarn, inverted collar, simple wrists. 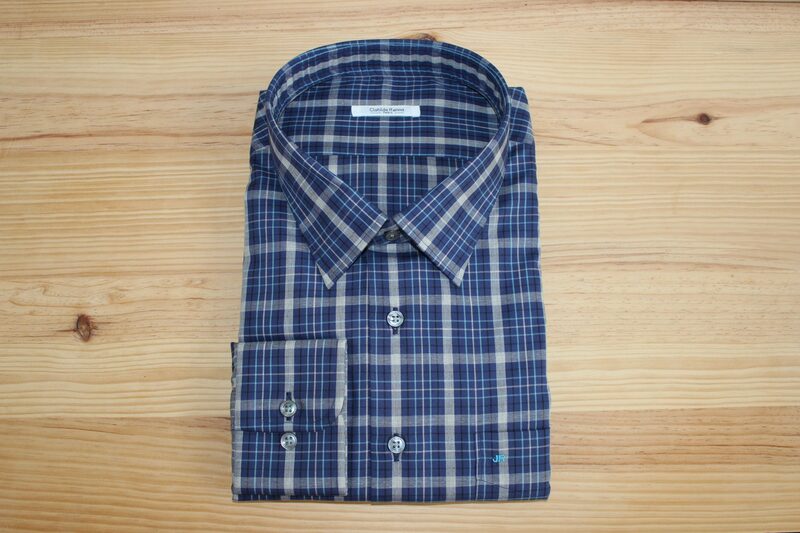 Traditional artisanal methods (handmade pattern and cut).